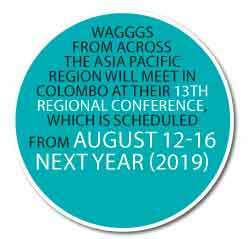 Member organisations of the World Association of Girl Guides and Girl Scouts (WAGGGS) from across the Asia Pacific Region will meet in Colombo at their 13th Regional Conference, which is scheduled from August 12-16 next year (2019). The conference, held under the theme ‘UNITE-THRIVE-GROW’ aims at bringing together member organizations across the Asia Pacific to celebrate achievements of the past years and to discuss strategies for the future development of the movement. 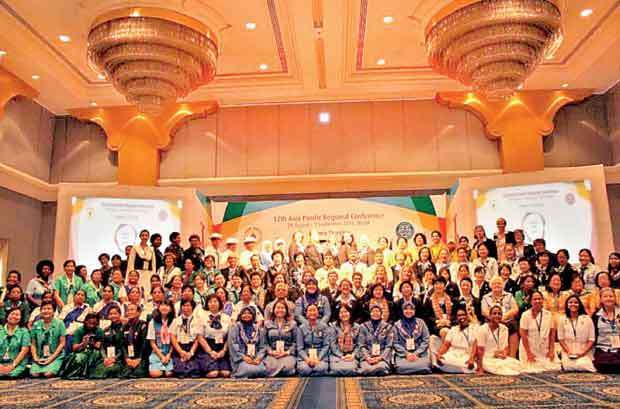 Three hundred and fifty conference delegates are expected to visit Sri Lanka to discuss how to grow Girl Guiding and Girl Scouting throughout the region so as to reach many more girls and young women. These efforts are taken to give girls in more countries the opportunity to develop self-esteem, leadership skills and make a difference in their communities on issues such as sustainability, ending violence against girls, gender empowerment and equality. The week-long conference includes workshops, consultations and the showcasing of projects by member organisations. The delegates will discuss topics important to the global movement and to girls in their own countries. These topics include eliminating violence against girls and women, global leadership, sustainable development, actions to ensure enabling laws and policies, solid institutional infrastructures, adequate financial resources, strengthening of participation mechanisms, girls education, fund raising and membership growth. There are plans at the conference to celebrate extremely important milestones for the Asia Pacific Region, which celebrates 50 years, and the Friends of Asia Pacific WAGGGS (FAPW), who celebrate 20 years of supporting Girl Guiding initiatives in the region. A regional planning committee headed by Ms Thanyaporn Krichtitayawuth is currently in Sri Lanka working with the Sri Lanka Girl Guides Association (SLGGA) to finalise the venue for the conference and other logistics surrounding the week-long 2019 event. The SLGGA, which was established in 1917, accounts for over 60,000 memberships spanning all nine provinces. It is a non-governmental, non-religious organisation which is open to girls and young women from all walks of life, irrespective of their caste, religion or race. It follows a values-based, non-formal educational programme focusing on community development, environmental awareness, primary health-care, drug abuse prevention, the girl child, adolescent health, HIV/AIDS and the integration of differently-abled persons into normal society. Following its mission ‘to enable girls and young women to develop their fullest potential as responsible citizens of the world’, the SLGGA hopes to encourage girls and young women to make their own choices in decision-making at all levels.